What is the required air pressure of the vehicle’s tires? The tire air pressure is not so important. According to the instructions of the garage or licensing facility. A pressure that provides for the most comfortable driving. The pressure should be according to the manufacturer’s manual. What is the permitted tyre size for a vehicle? As determined by the tire manufacturer. Any size of tire, as long as all the vehicle tires are of the same size. As approved by a licensed garage. As determined by the manufacturer and noted in the vehicle’s registration document. What is “preventive maintenance” of a vehicle? Maintenance that prevents the vehicle from driving properly. Intermittent and unplanned maintenance, at the driver’s own discretion only. Regular and planned maintenance to ensure the proper function of the vehicle and its systems. Maintenance of unexpected vehicle failures. To control and receive information from the vehicle’s different systems. The dashboard regulates the engine systems, and prevents tire wear. To serve as an additional security measure during frontal collisions. To control the sound system in the driver’s compartment only. What is the proper way of checking engine oil level? 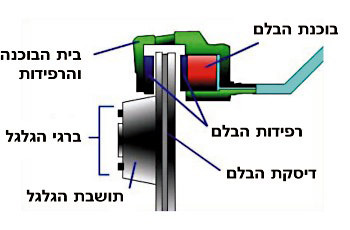 By using the engine’s dipstick, when the engine is cold and turned off. There is no need to check the engine’s oil, but only to change it in accordance with the manufacturer’s requirements. It can only be checked in a licensed garage. Only before the vehicle’s annual test. What system helps to stabilize the vehicle when it is skidding or in danger of rolling over? The engine’s fuel consumption control system. What are you required to do after changing a wheel? There is no need to do anything special. Tighten the wheel’s retaining nuts after removing the jack stand, and repeat this procedure after driving 50km. Make a general check (of tire properness and your kicking ability) by lightly kicking the tire. Check the temperature of the tire before the next drive. When are you required to check engine oil level? After starting-up the engine in the morning. Before starting-up the engine and on a straight surface. At the end of a drive and on a straight surface. After starting-up the engine and on a straight surface. What is the consequence of tyre pressure that is too low? Low tire air pressure has no effect on driving. Increased fuel consumption and air pollution. What factor might undermine seat belt functioning and efficiency whilst driving? Exaggerated backward tilting of the seat’. Driving on a rough road. Driving while wearing few layers of clothes which are too hot. What danger might be caused due to low air pressure in one of the front wheels? The steering wheel might be pulled to the direction of the wheel with the higher air pressure. There is no danger, as long as the pressure level is at least half of the required pressure. There is no risk. The air pressure in the front wheels is of no importance. The steering wheel might be pulled to the direction of the wheel with the lower air pressure. What is the SRS (Supplemental Restraint System) airbag system? It is a system of external airbags that inflate after collision. It is an airbag system that balances the vehicle during dangerous turns. It is a system that cools the brakes during emergency braking. It is a system designed to reduce passenger impact, through the inflation of airbags during collision. Why is it important for the vehicle to have intact bumpers (fenders)? To give the vehicle an aesthetic look. To reduce damage during accidents. To avoid relatively minor accidents. To prevent damage during serious accidents. It is unnecessary to install seat belts in that vehicle. The seat belts must be fastened at all times when the vehicle is in motion. If the airbag system malfunctions, seat belts should not be worn. The seat belts should only be worn when the air big system malfunctions. What regular vehicle maintenance check-ups should be performed by the driver? Checking the vehicle’s recent mileage. Fluid and oil check, tire air pressure check, and functional check of the lamps and wipers. Fluid check, trunk check, and functionality check of the lamps and wipers.